Have you heard about Wesserling Park? 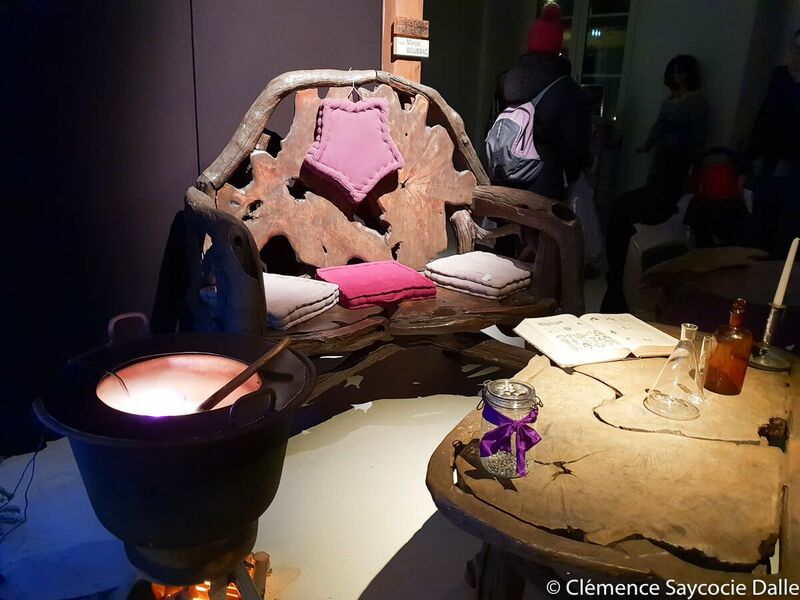 Nestled at the foot of the Vosges, in the valley of St Amarin, this garden – textile ecomuseum, former royale textile manufacture – is open every year in December for its “Christmas in the garden” (Noël au jardin). 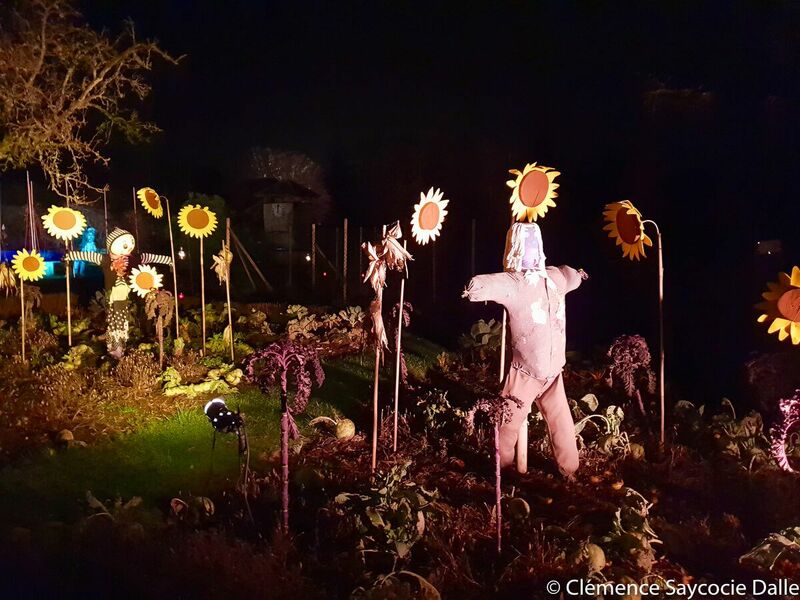 Every year, this illuminated walk through the gardens, tells a famous story. And every year, it’s a real treat to go as a family to enjoy Christmas differently! The art of adapting stories known by everyone! Cinderella, Mary Poppins or even The Wizard of Oz: here are some of the last stories that were scrutinised by Wesserling Park. Every year, the story is more or less adapted by the park in a different way. It can fit within the adventure of the former textile manufacture, the characters will then have different names, or it can take place in its original place. Nevertheless, everyone will recognize emblematic scenes: the uncle of Mary Poppins climbing to the roof because he is laughing too much, the wicked witch of the East crushed by Dorothy’s house or the loss of Cinderella’s slipper when leaving hastily the ball… Actors and actresses? 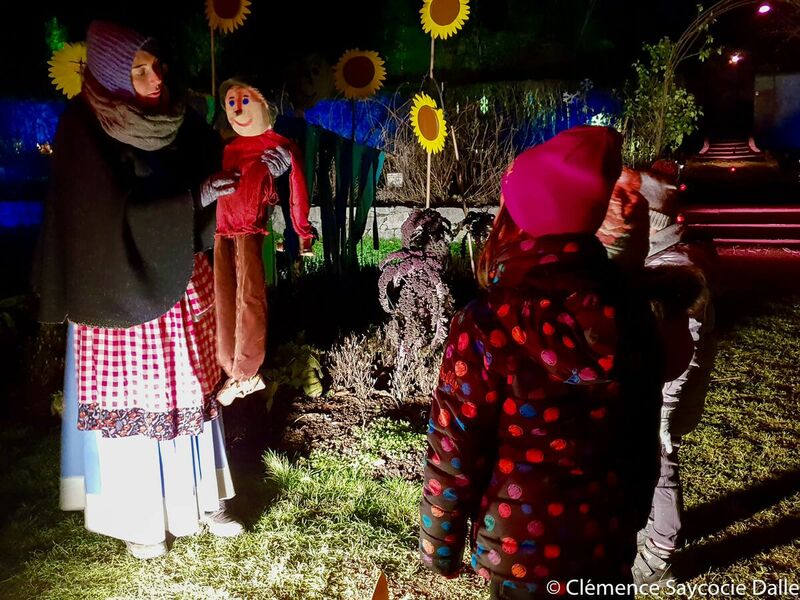 They are so gifted and manage to immerse you into the story so well, that it’s hard to believe that they are employees of the Park and volunteers coming together for the event “Noël au Jardin”. 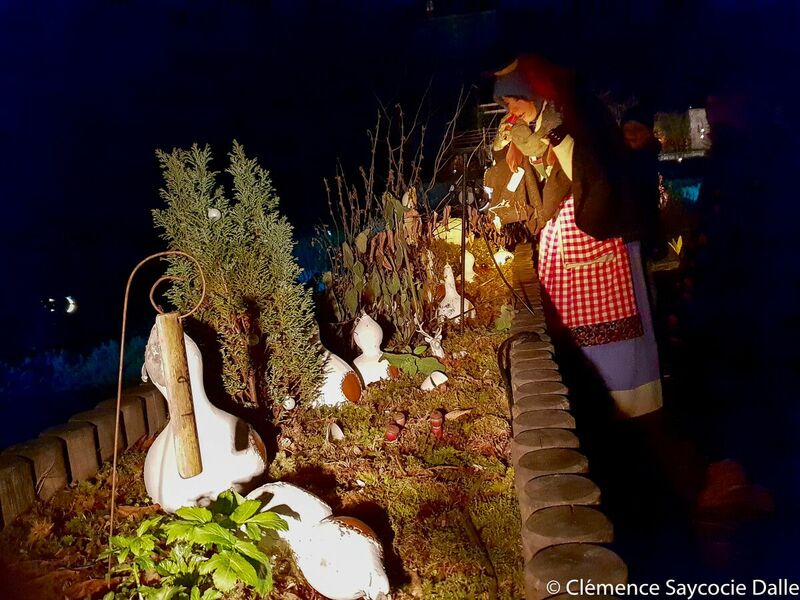 How does Christmas in the garden unfold? 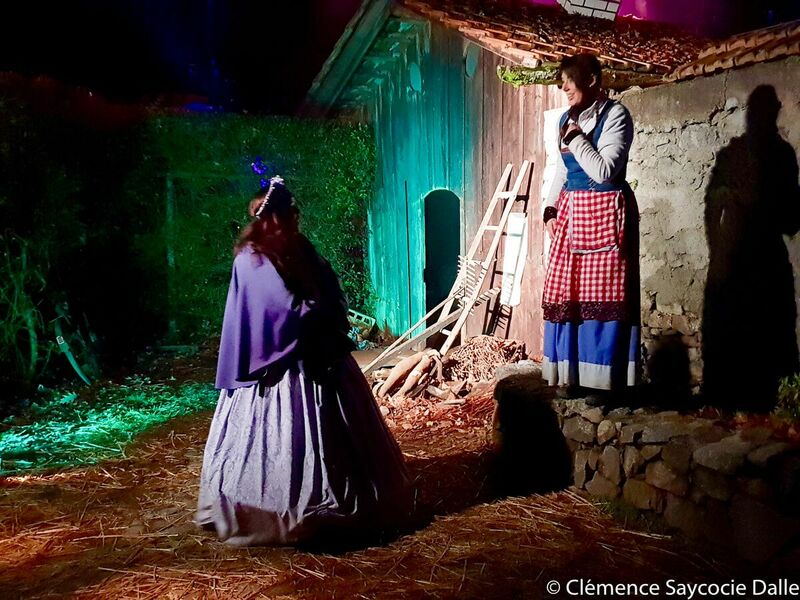 To attend one of the sessions of “Noël au Jardin”, you’ll have to register starting from October with the park. You can choose the day and time: it’s starting every 15 minutes on show nights, between 5 and 9pm. 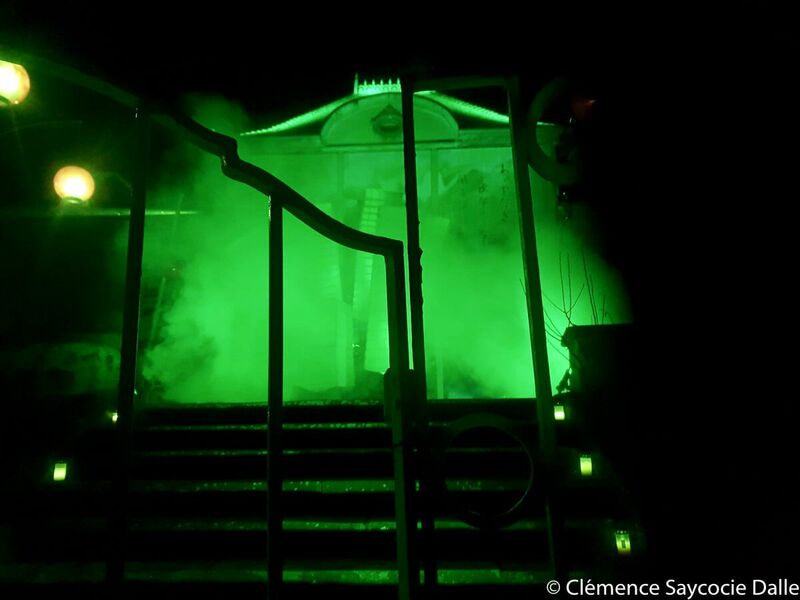 On show nights, as a group of about thirty people, you’ll wait in the warmth of the textile ecomuseum (you can visit it, while you wait for your turn), before being led to the illuminated park… On your path, you’ll discover several playlets that are magnificently lit up. Let yourself be guided on your path by lanterns and story characters. 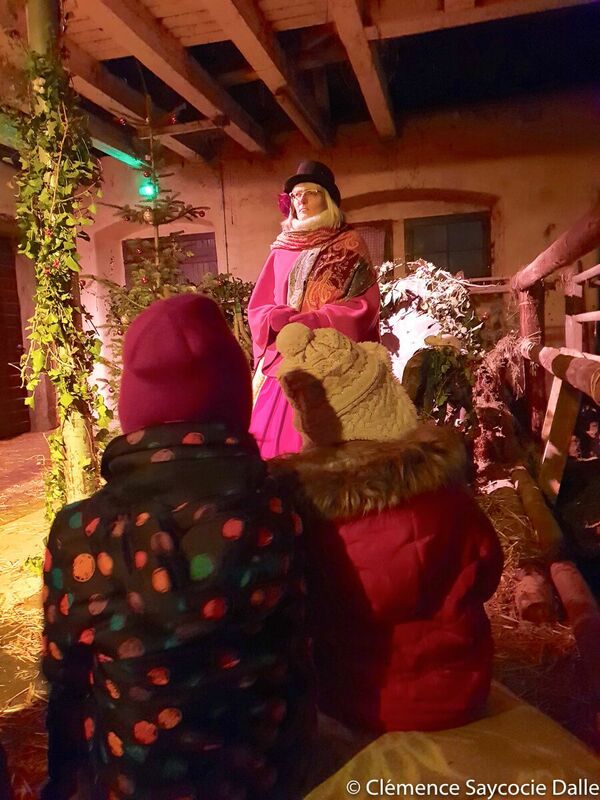 It’s magical… It ends with a beautiful tale and a Christmas carol sung by a few volunteer singers in the farm, sitting on haystacks, close to the cows (sensitive noses… you have been warned!). We are all part of the story at Wesserling Park! On your path, you’ll notice that your small group is always part of the story. You are never only a spectator when attending Christmas in the Garden: you’ll be entrusted with missions of the highest importance. We all tidied up our room under the benevolent gaze of Mary Poppins, my girl carried the invitation to Cinderella’s ball, helped Dorothy to get rid of one of the witches from the Land of Oz with one of her magic “tricks”. What a delight to be part of the story! A gourmet break to end the evening in style! After about 1 hour walk through the park, we arrived at a chalet, a true reproduction of a mountain chalet ordered by the manufacture owners in the 19th century. We settled in front of large tables to drink a (free) mulled wine and eat a mannala or, for those who want to eat onsite, hot toasts, a good vegetable soup and a dessert. As for me and my family, we always choose a time to eat dinner there. It’s a great way to end the evening! This illuminated walk is only available in French. Being under the impression of being part of the story. Seeing the awe in the eyes of the children… and adults! They are sometimes late at the beginning of the evening, but it’s rarely more than half an hour. Sometimes, you might queue up for a while at the chalet, depending on the crowd. 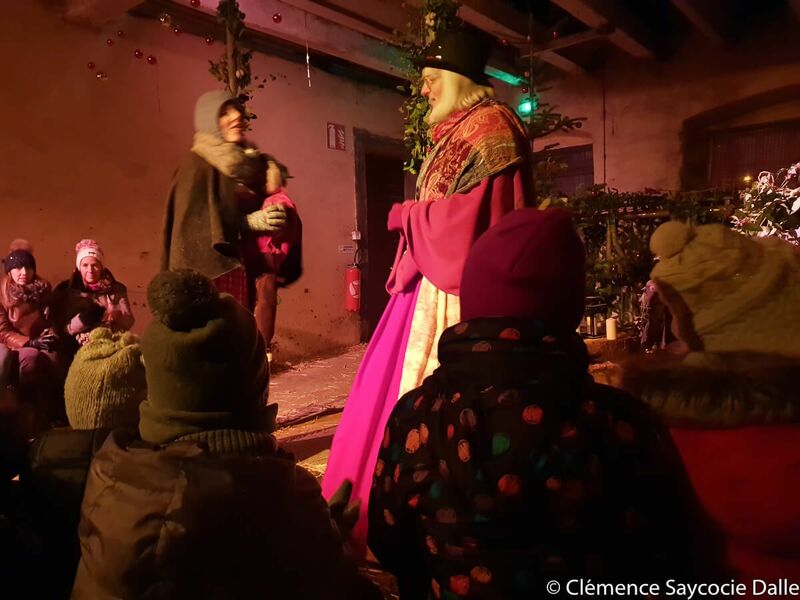 You’ll find here the prices, opening times and booking modalities for “Noël au Jardin”. With the train TER, from Mulhouse railway station. 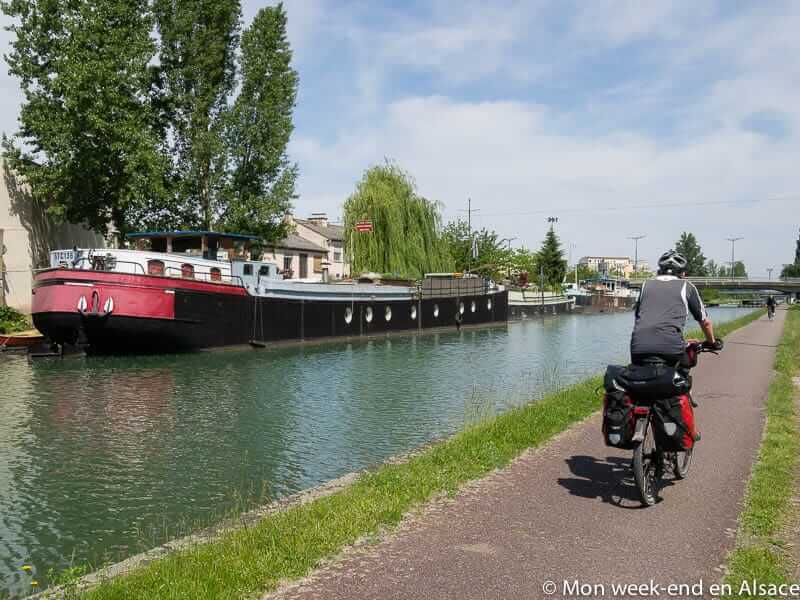 You can check your itinerary on Vialsace. 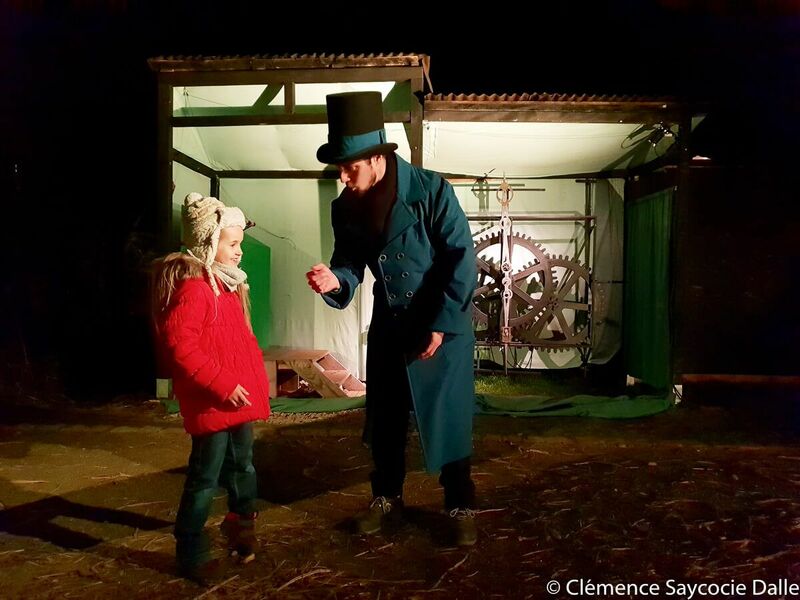 Clemence likes to find new activities for her family and she has always loved to travel in Alsace and elsewhere. She likes to share her discoveries with her friends. 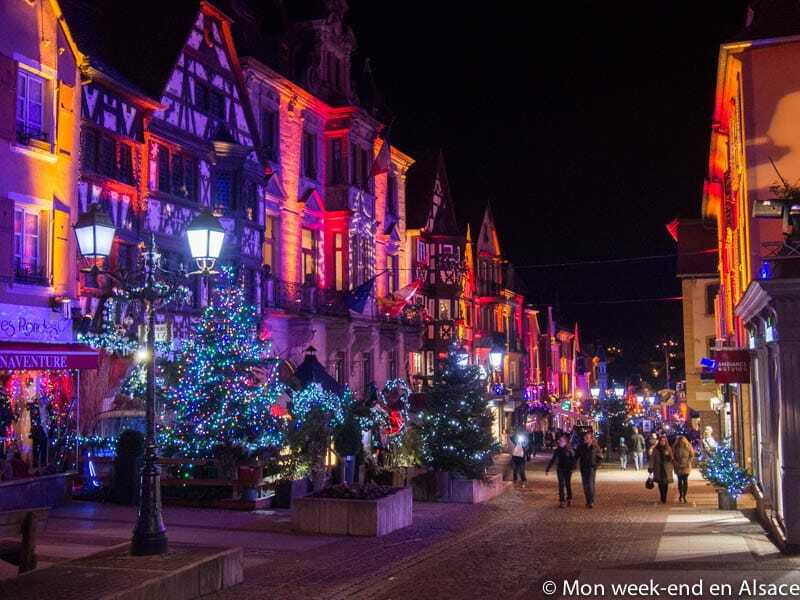 She is very proud to contribute to the adventures of Mon Week-end en Alsace ! 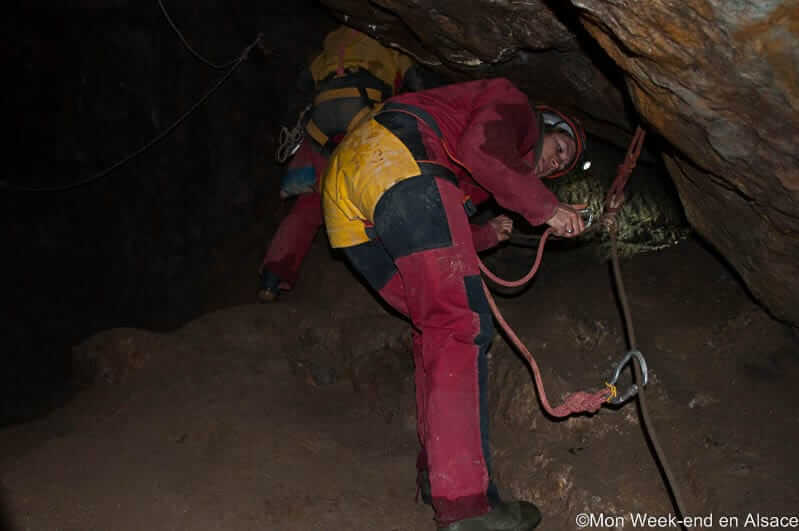 La Montagne des singes, for young… and old alike!